So far Google+ has taken a back seat to other networks, such as Facebook, with all but the most Internet enthused and those in tech related fields. But, I believe Google+ holds some hidden opportunities precisely for this reason. The key to making Google+ pay is to think about it as a way to make deeper connections in your key constituent groups – customers, suppliers, partners and industry influencers. There’s no need to think in terms of building the largest network here – think instead of building a strategically broad and deep network where it counts. Create circle that contain the obvious suspects – customers and such, but focus on their connections, who they know, as a way to grow your relationships and network. Then you can start searching for active Google+ Communities to participate in. Not all communities are active or valuable so you may have to look to find relevant ones worth your attention. 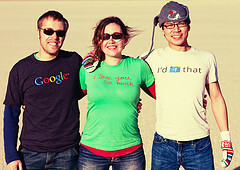 Below are four Google+ practices that will make your time spent there profitable. Link your authorship – As outlined in this post on Google Authorship, linking the content you publish on the web with your Google+ profile may indeed be the best reason of all to participate on Google+. Don’t pass go until you do this! Think about the opportunity for social proof when a prospect goes out there searching for a solution and finds your content, with your picture and your Google+ profile on page one of the search results. 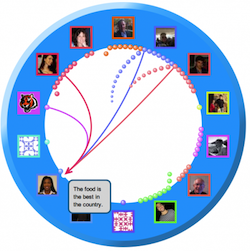 Create smart circles – Google+ is naturally built around custom groups and for obvious reasons you should start with your customers as your first what Google calls “circle.” Here again, think network and networking by exploring whom your customer interact with most if they are active on Google+. This can also be a great way to find new connections and new content to share on other platforms as people that are active on Google+ oftentimes are less so in other networks. Make sure to share and +1 on their content as well as Google is paying close attention to the interaction on Google+ when it comes to a more complete view of search. Dig for communities worth joining – Google+ has a group tool of sorts called “communities.” Anyone can create and moderate a community and some are very active. Look for communities related to your industry and join a few that seem to have a fair amount of engagement. Communities work best when there’s an active moderation role stirring the pot and asking for input. Many communities are little more than abandoned spam parking lots so take a good look before jumping in. Get good at Hangouts – I’ve talked about Google+ Hangouts previously, but I can’t say enough about the current opportunity to stand out from the crowd using Hangouts. This is essentially group video chat with all the bells and whistles to turn it into a very low budget TV station for you. The ability to live stream as well as record your Hangouts opens up so many content possibilities. And did I mention it’s Google? Think these Hangout archives won’t rank very well in search? If you’ve stayed away from Google+ because it’s not today’s most hyped network, then I suggest you think about it differently and use it in a way that allows you to get the most from your time spent there.